If you are looking for an alternative to commercial insect repellents, try making your own. This is a guide about homemade natural insect repellents. Essential oil is a wonderful all natural insect repellent! Peppermint oil will repel flies, ants, bees, roaches, and spiders! Simply add 10 drops of peppermint essential oil to 1/2 cup of water. Using a spray bottle, spray the area you want to be free of pests. Example: for spiders, spray around doors to keep them from coming in the house. For flies, spray around doors, or anywhere you want them to be repelled. Ants and wasps were always getting in my hummingbird feeders, not anymore:) For mosquitos, use the same ratio, but instead of peppermint add lemon essential oil, lavender also works. You can spray your skin or in the area to be repelled. I would spray a test patch on skin to test for sensitivity. And a bonus is they smell awesome! I am going to try this repellent this year. Mainly if I go hiking or on a long walk. Mix this all together and spray all over hair and skin. You can also use peppermint oil or eucalyptus oil instead of the skin so soft bath oil. Do not use the essential oil on pets, as I have read they cannot break it down enough for it to be safe for pets. My girls are going to summer camp soon and I would like to give them a natural way to keep the bugs away. I am really anti-chemical and would like to stay away from the bug repelents that you find in the stores. I know some people may recommend dryer sheets (they seem to work for so many things) but I've read an article that they contain dangerous chemicals. I would appreciate your suggestions. 1/2 cup Listerine, 1/2 cup water, 2tbs vanilla. Put it in spray bottle extract works great for gnats. Careful spraying on light clothing. I usually spray my skin and hair. I play golf and the gnats can be awful. This keeps them away. I would like to know a cheap and safe way to spray for pests (ants, etc.) to keep them from getting in the house. I stopped my pest control service which was charging me $360 per year to spray 4 times. If there is a "Do It Yourself Pest Control" store in your area, you can obtain professional quality anti-pest liquids. Buy a heavy duty sprayer and do it yourself. Or go to Home Depot and buy all of that stuff there. I do my own pest control on my 1 acre. Here is the site I buy my products. The chemical I buy and that works best for me is Talstar. I think I pay around $50.00 and it lasts me a good 7-8 months. It's water soluable so you'll need to purchase a sprayer from your garden center. The best thing is I can spray whenever I want and not have to wait for the pest control guy! Since I nearly died of chemical poisoning twice in my garden and once at a garage sale accident over my lifetime, I STRONGLY URGE ANYONE DEALING WITH CHEMICAL PESTICIDES, cheap or expensive, TO READ AND HEED THE WARNING LABELS TO THE LETTER! ! ! God keep you in His care and give you the wisdom to do this. What about duraspan I know u can buy it on the internet, we also sprayed it around the house to deter snakes. Found a black moccasin in the dog pen one day, spray it and immobilized it's nervous system. You can repel ants by misting around baseboards & other areas "unreachable" & wiping counters with vinegar! I am looking for DIY insect or bug repellent? My mom swears by vinegar. She cuts it with water and puts it in a spray bottle. If anything homemade actually worked, Deet would not have been developed. Thermocells and Off Lamps work in repelling mosquitoes from your area. They do not seem as stinky to me as the coils, which also work but have quite a strong smell. If you don't want to put something on your skin, this is the way to go. Another solution, if you are working in your yard, is a big jacket with hood. The hood zips up and covers your face. And cover up the rest of your body-pants, socks, and gloves. My son, who hates chemicals wears one of these. He is building a log house next to a forest preserve and a river, lots of skeeters there. Inside his house, he has a thing shaped like a badminton racket that he swats/swishes mosquitoes with. It has batteries and kills them with an electric current; good for enclosed spaces with a limited number of mosquitoes, like inside a screen porch or your house. Some people use them around a campfire, swishing in front of their face, maybe it helps there too. It gives you something to do, anyway. However, it is effective in an enclosed space and works way better than swatting with your hand. I use Deep Woods Off; if you have lots of mosquitoes you need a repellant with about 25% Deet. I live in Saskatchewan, and we are having a terrific (or horrific, depending on your viewpoint) mosquito year because of all the rain and flooding we have had. Trust me; I know my mosquito repellants. Is there a such thing as a green/natural homemade insect repellent for indoors? Insects do not like the smell of Citronella Oil which you can burn in an oil burner, Silverfish hate the smell of Cinnamon oil - just sprinkle the oil near the crevices that they crawl out of. I have heard that if you keep a basil plant in your kitchen it will repel flies. Thanks for reminding me, I am going to repot some of my basil this weekend, and bring it into the kitchen window to see how it works. Did you publish, in your article in Dear Webby, a recipe using Listerine mouthwash for keeping insects from bothering you when outdoors? I've lost my copy, and would like to prepare the solution for use these hot days. It was for a "spray bottle". There is no recipe. People just spray listerine around. It smells up the patio or where ever and does no good. Use the Off clipons or the Off lamps or the Thermocell devices for effective mosquito repelling, or use a repellent that contains Deet. Nothing else works. I use the Listerine and spray ahead of me as I walk around patio/deck. It seems to work - but never have had a huge problem with mosquitoes. Just put is a pray bottle and spray away. A way to keep mosquitoes down is to put a drop or two of olive oil in any container(s) (or whererever water collects) in your yard that might hatch mosquitoes. The oil will kill the larvae and then when the water evaporates the container will be lined with the oil - then when it gets water in it again the left over oil will be in the water... I put a drop or two in containers about 3 times during the summer. 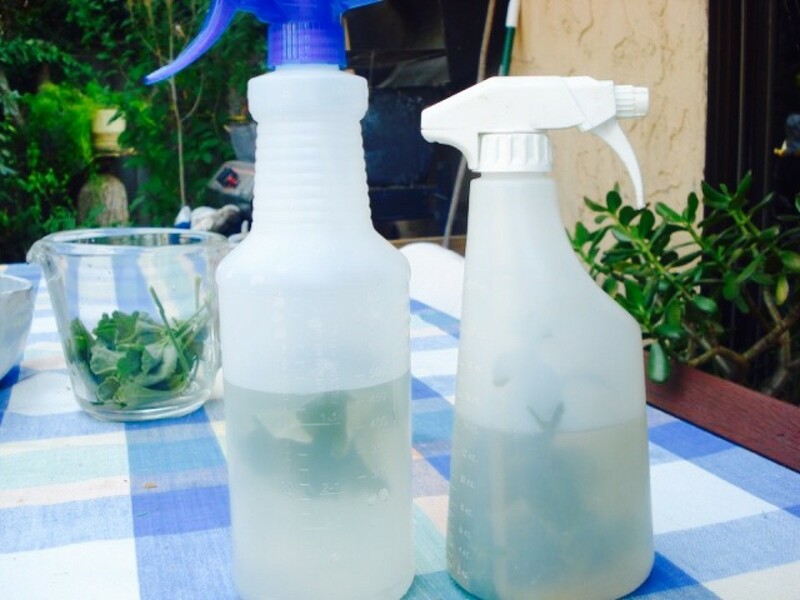 This is a guide about homemade herbal insect repellent sprays. Many herbs are natural insect repellents. 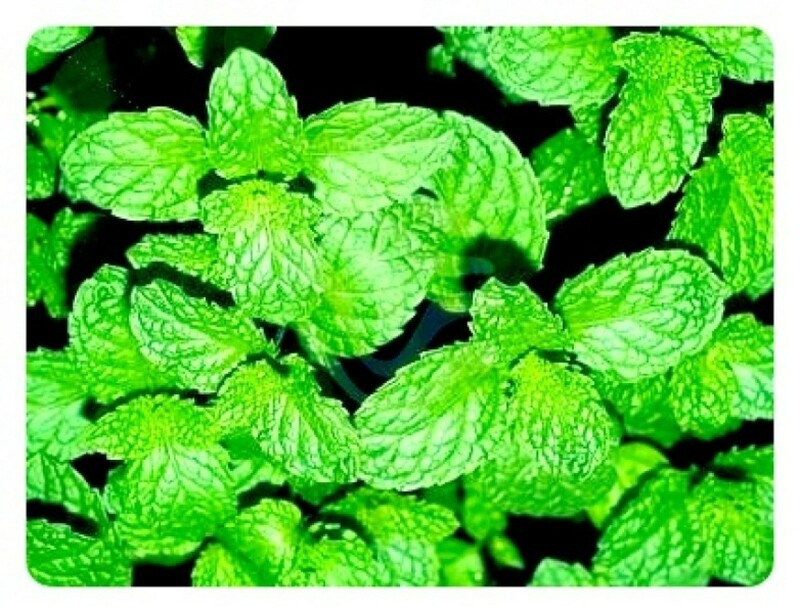 This is a guide about making a simple mint insect repellant. Mint can easily be grown at home and is an effective repellent for some pests. Here are some tips for how to use it as an insect repellent. This is a guide about making herbal insect repellent. Herbal insect repellents can be an effective alternative, if you are looking to avoid chemicals found in store bought repellents. Here are a few recipes to try. This is a guide about tea tree oil as insect repellent. 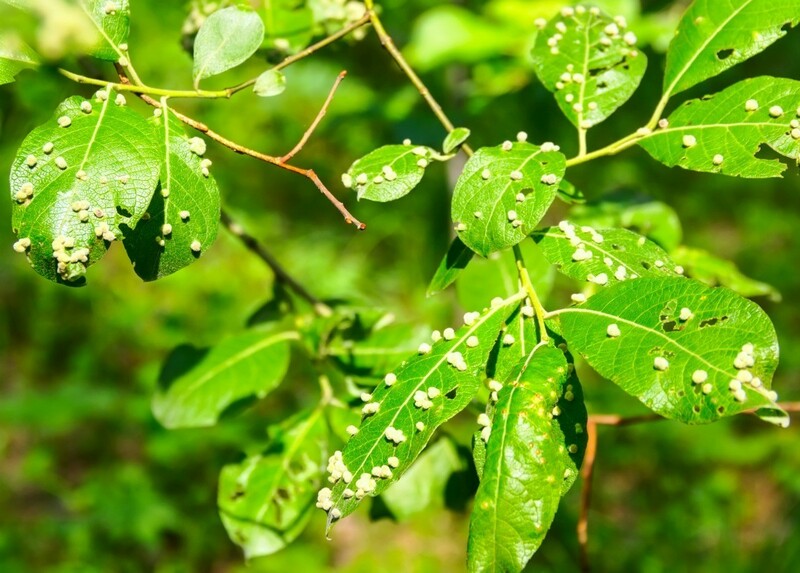 Some people find tea tree oil to be an effective insect repellent. One thing to keep in mind is that it can be toxic to pets, so you should avoid using it for your pet both topically and orally. This is a guide about natural pest control. Making or buying natural pest control products can help reduce that amount to pesticides in our environment.